A 25-year-old man was banned from driving for six months last Wednesday at Craigavon Magistrates Court for a no insurance offence. 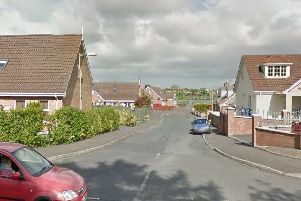 Benjamin George John McCaughley, Limefield Rise, Craigavon, was also fined £300 and ordered to pay a £15 offender’s levy. For not having a driving licence he was fined £100 and banned for one month. The court heard that on July 1, 2014, he was stopped on the Lough Road, Lurgan, and asked to produce his driving documents but failed to do so. McCaughley, who did not appear in court, was convicted on the tendered evidence.